"In pursuit of legal justice." We are back with a few final tips I can help you through your divorce. Sometimes, it’s difficult to know what to do. Our divorce lawyer in Durham NC is here to help. In the beginning stages of your divorce, try to get copies of all financial documents and other important information so that you will have access to them during the overall process. In the middle of the divorce process, things can get overwhelming and hectic. Having all the documents you need beforehand will help keep your stress level down. Divorces can take a while. Sometimes people think that they can be done and over with quickly. However, it can sometimes take longer than expected. Stay calm and know that things will work out in the end as long as you give it time. Remember to take care of yourself during this time. This process can be taxing and stressful. Try to practice self-care and relax as much as possible. We know it won’t be easy but it is still important to be mindful of your health and mental state. 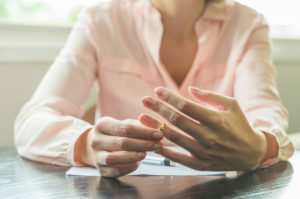 These tips are here to help you with your divorce. If you missed our previous blog, be sure to visit back without coming here. Divorce lawyer in Durham NC, Kevin E. Jones can help you resolve a divorce or child custody issue. We can also help with your insurance, injury and other legal matters in an ethical and proper manner. Don’t let your health, finances and overall wellbeing suffer because you’re unaware of your legal rights. Contact Kevin E Jones before making any final decisions. Things happen and many people go without the proper representation when they need it most. Don’t be just another number. Durham Lawyer | Durham Attorney, Proudly powered by WordPress.